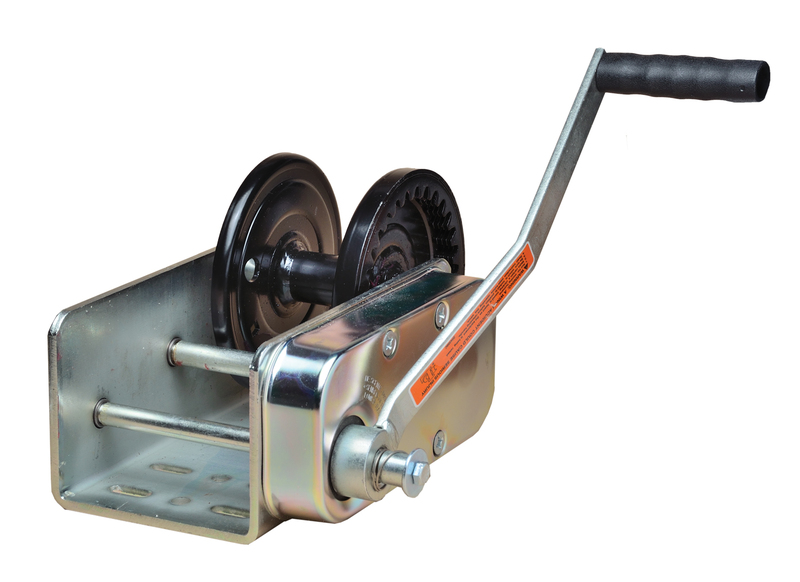 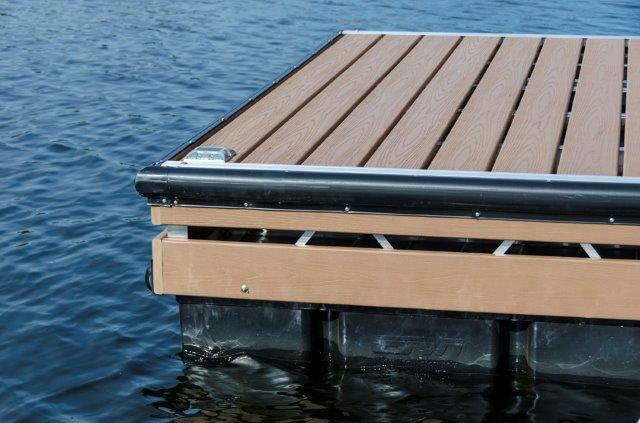 R & J Machine offers a wide range of dock hardware and accessories for residential and commercial waterfront applications. 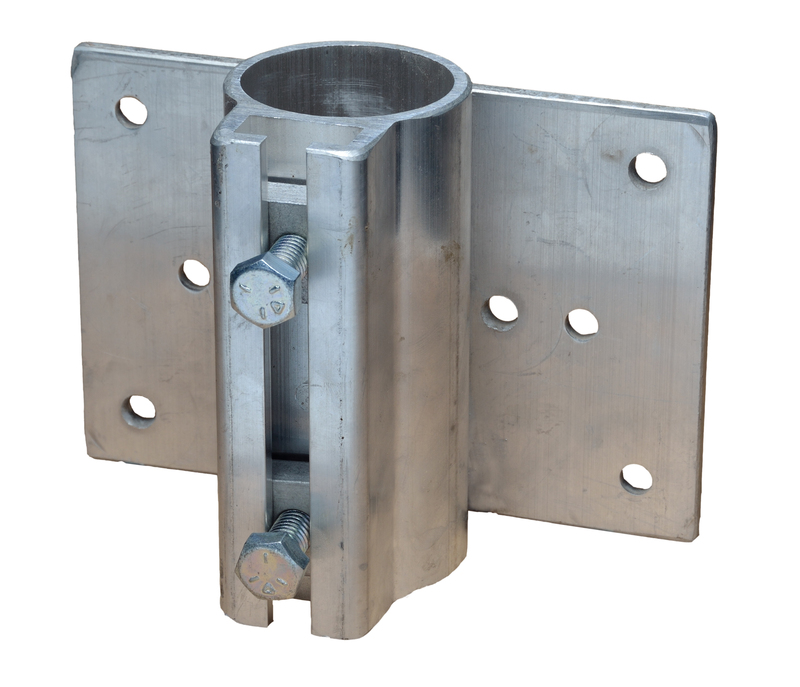 All of our pipe dock hardware is manufactured from 6061T6 aluminum, which eliminates rusting problems. 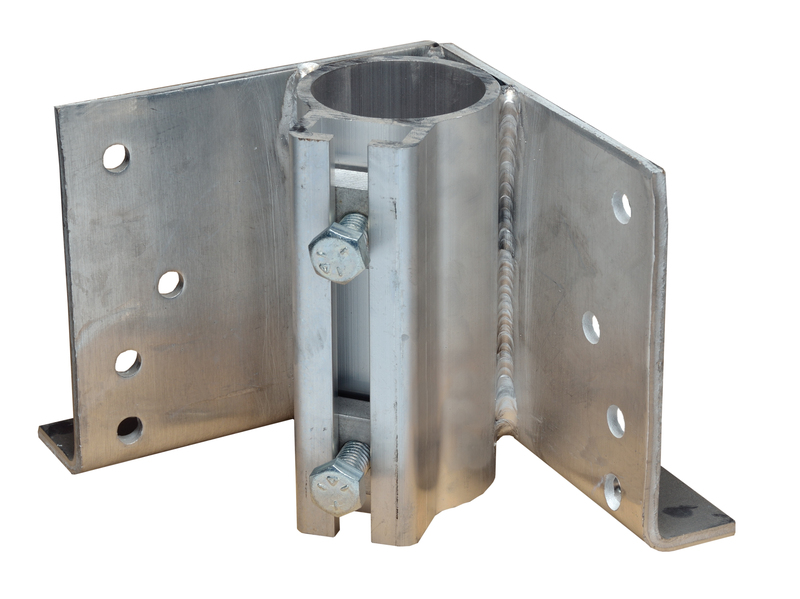 Our corner brackets and side brackets accept 2 3/8″ O.D. 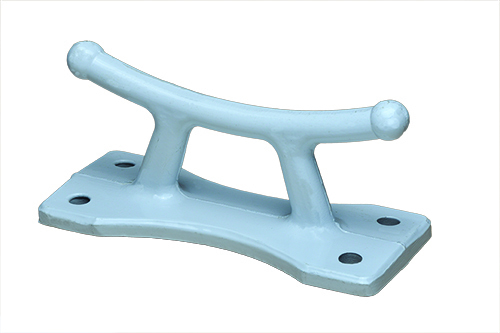 pipe leg for more rigidity. 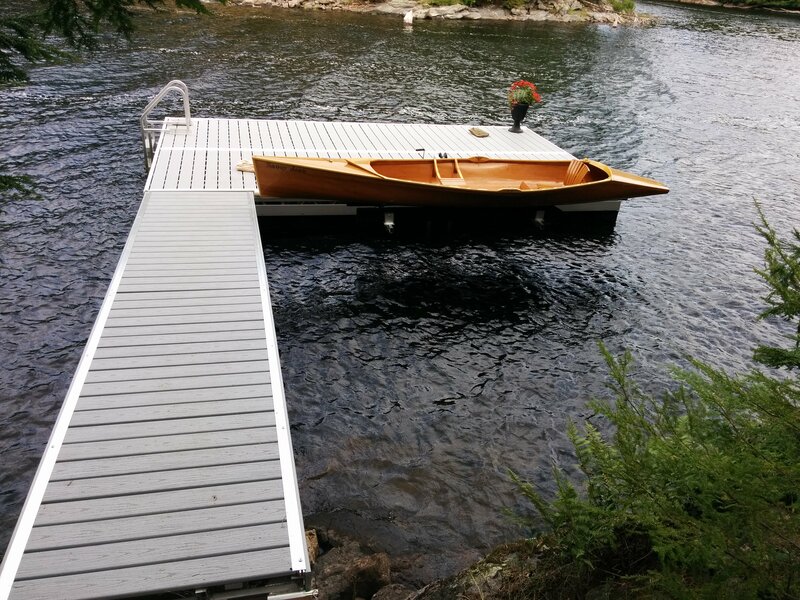 We carry floatation billets that feature rotation molded polyethylene shells with an EPS foam core. 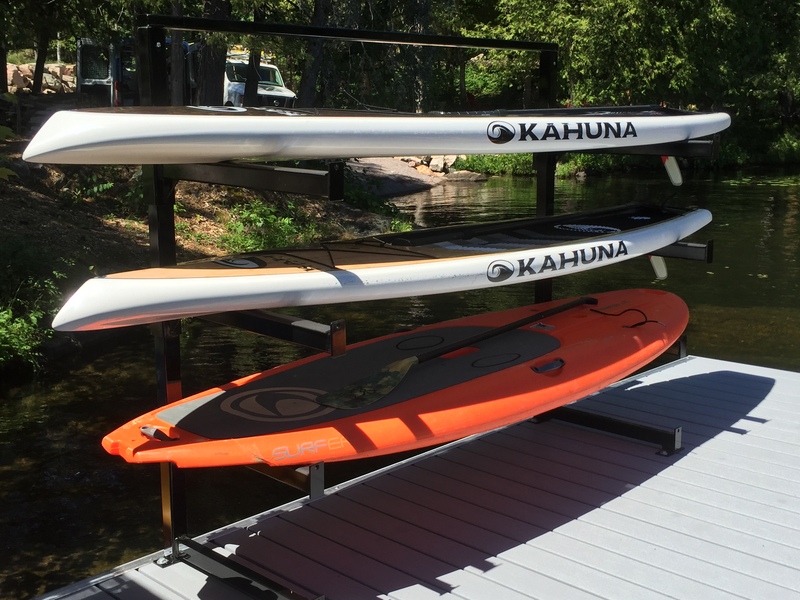 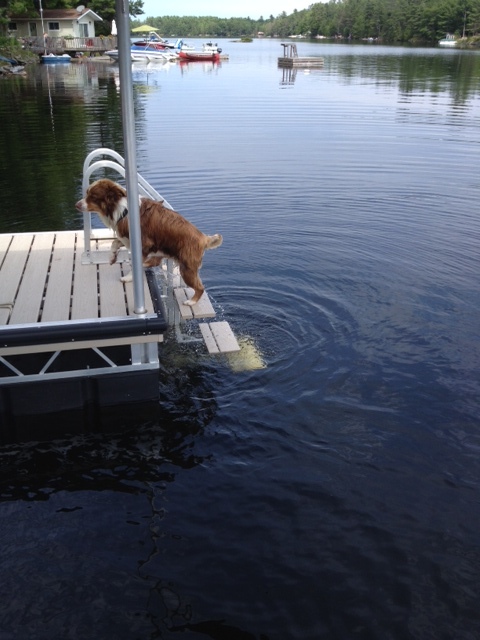 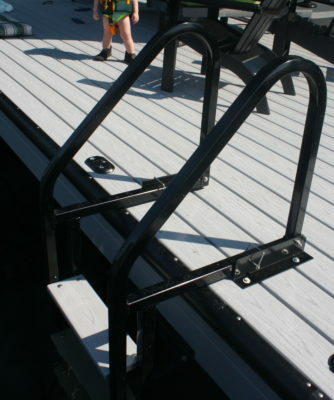 The flat surface allows you to easily bolt the floats to most dock frames. 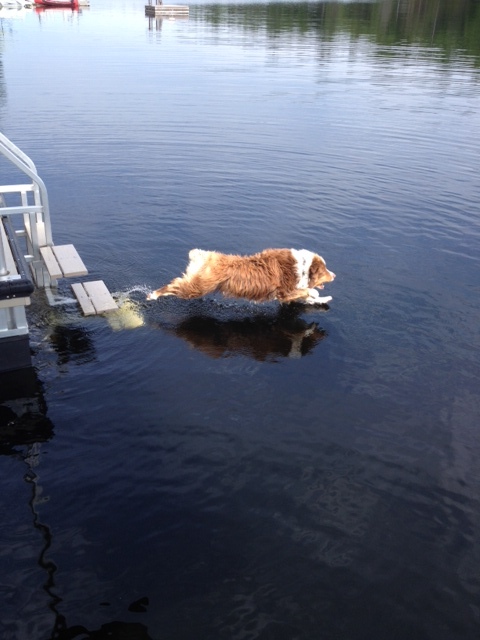 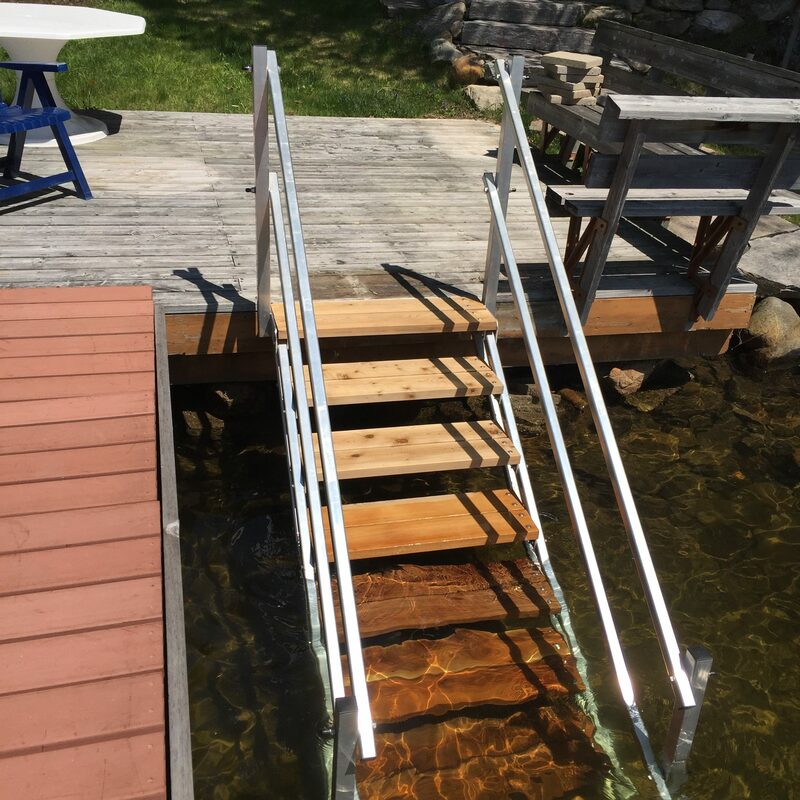 Our floatation billets are unaffected by rodents, petroleum and most ice conditions. 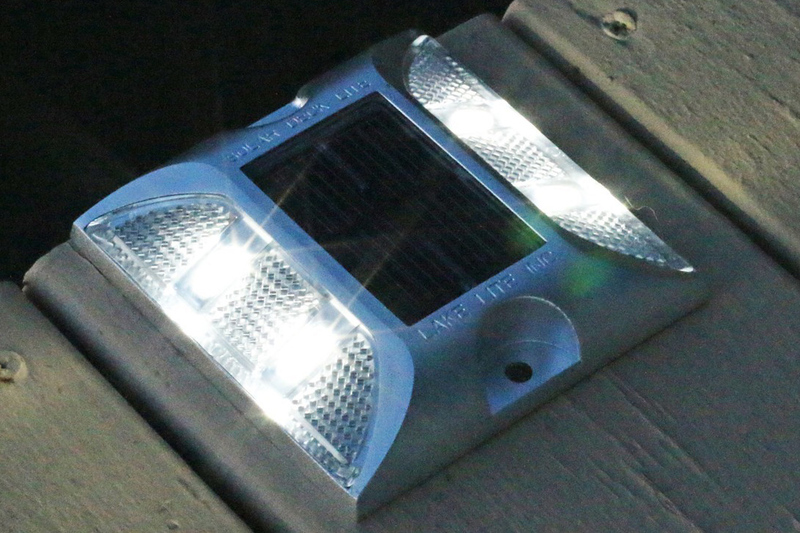 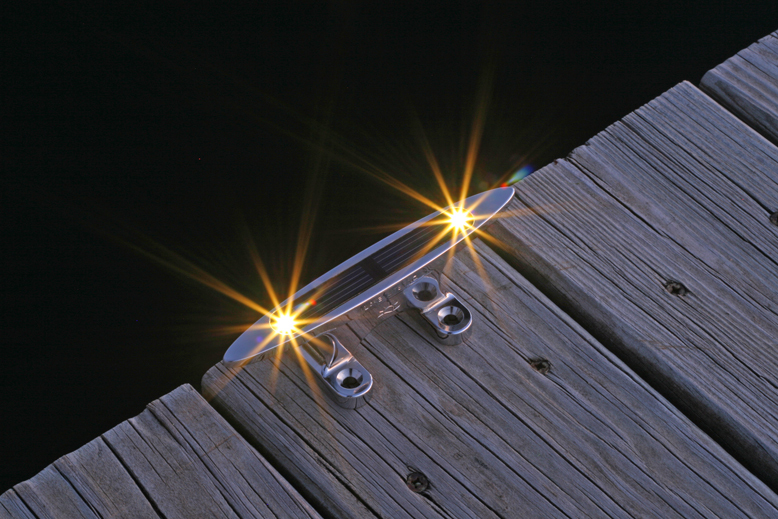 We also offer marine grade solar deck lighting, a variety of dock ladders, steps and benches, as well as galvanized, fold-up or class dock cleats. 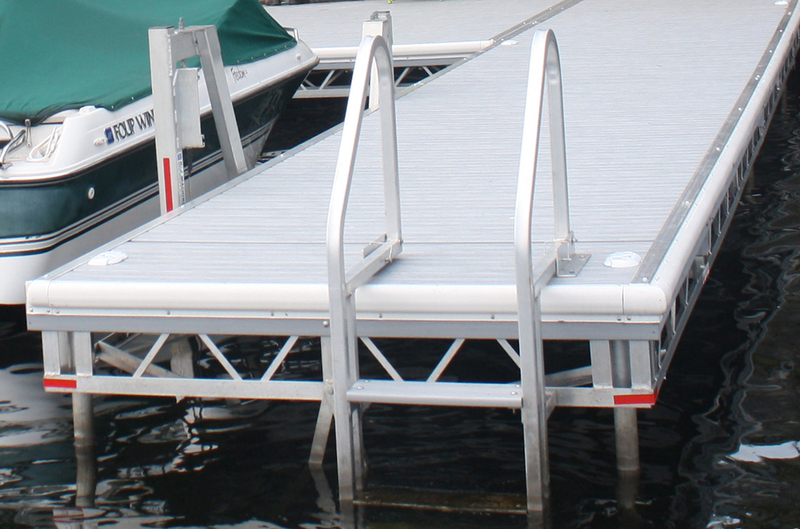 For superior dock protection, we sell premium bumper pads that wrap over the top edge for maximum protection of your boat and dock. 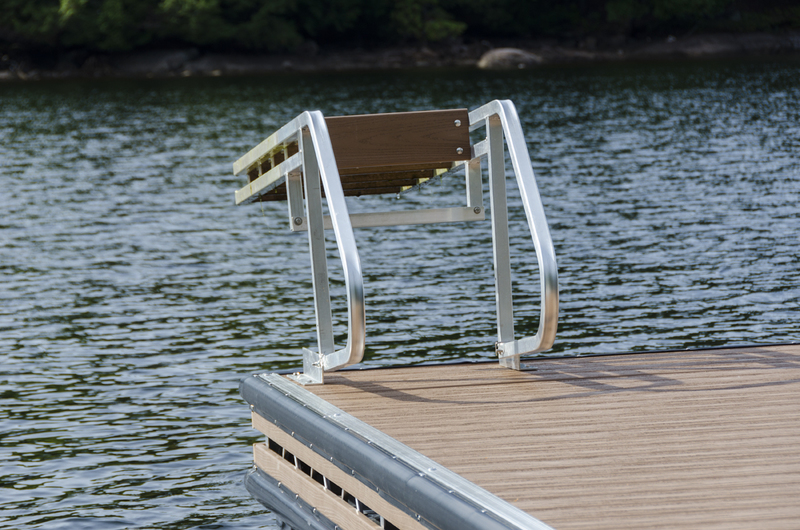 The molded corners and joiners add an almost seamless finish to your dock. 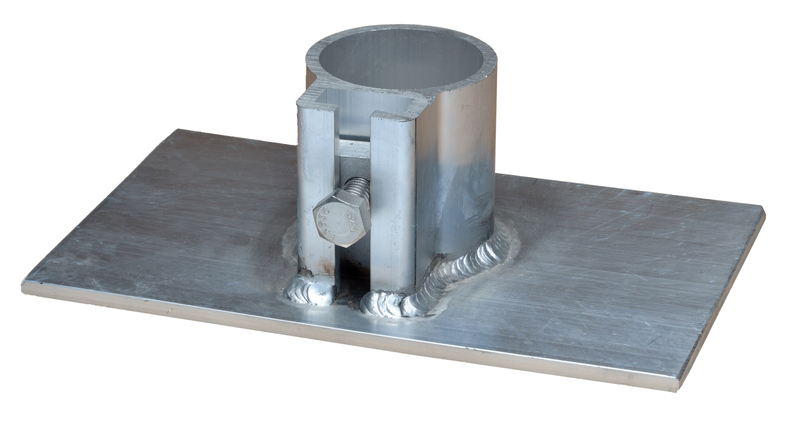 This is the trim that over 90% of our customers choose for bumpers. 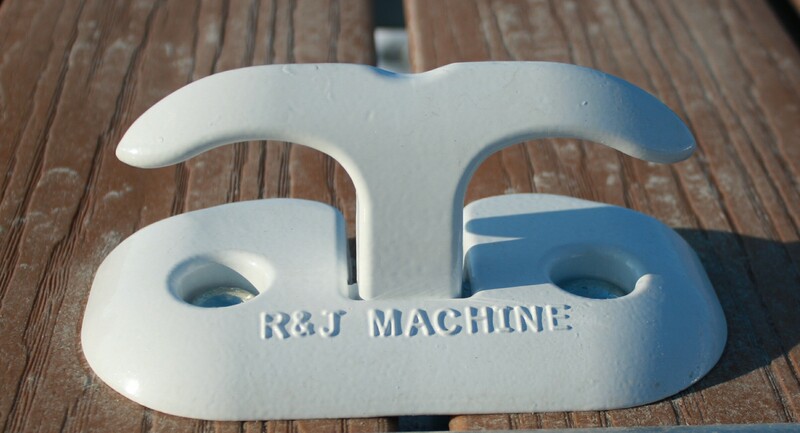 Our mooring whips start with a solid fiberglass rod and are then manufactured in multi-stages with an exclusive cross-wound fiberglass for extra rigidity unobtainable with solid rod alone.